Red Dead Redemption 2 was released on PS4 and Xbox One 177d ago in the US and the UK. The upcoming Red Dead Redemption 2 PC release date is expected to be 2019 in the US and the UK. Notify me when Red Dead Redemption 2 is available. Based on 60 Red Dead Redemption 2 reviews, Red Dead Redemption 2 gets an average review score of 97. This is the new benchmark by which open world games will be measured, but none will be meeting its heady heights anytime soon. This title will set the bar for action adventure games for years to come. Red Dead Redemption 2 is likely to go down as the best game of the generation. 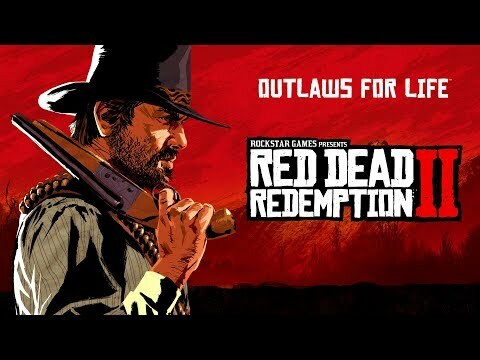 Few games have ever had as much hype around them as this one, and yet few have ever met and even exceeded their expectations in the way Red Dead Redemption 2 has. Simply put, it is one of the best games ever made, setting a new standard for open world titles going forward. Simply put, Red Dead Redemption 2 is not just ambitious and revolutionary, it’s a masterpiece. Avoid spoilers, avoid videos of this game, just buy it, play it, and fall in love with this world the same way I did. Rockstar, my dusty old hat is off to you. You’ve made this old videogame cowboy a very happy camper. Red Dead Redemption II doesn’t just build on the accomplishments of its already impressive predecessor, it eclipses them. You probably don’t need me to tell you that Red Dead Redemption 2 comes with the quality that only the likes of Rockstar can produce. Red Dead Redemption 2 succeeds on all the levels you’d hope it would. Red Dead Redemption 2 creates one of the most engaging open-world experiences to date and more importantly, you do it wearing a cowboy's hat! It’s certainly Rockstar Games' best game. Red Dead Redemption 2 may not be perfect, but its minor shortcomings are like tiny blemishes on a stunningly beautiful face. A stunning, elegiac western that features some of Rockstar's best writing to date. How do you follow Red Dead Redemption? You make Red Dead Redemption 2. With great characters and satisfying action, it's a Wild West worth exploring.